The Ibex® PRO/r is versatile—it has a screen for those applications that require it or people who prefer it, but still accommodates video headsets. The mixed practitioner can use it laptop-style in the clinic or chute-side, and then strap it on to use with headset for field use. 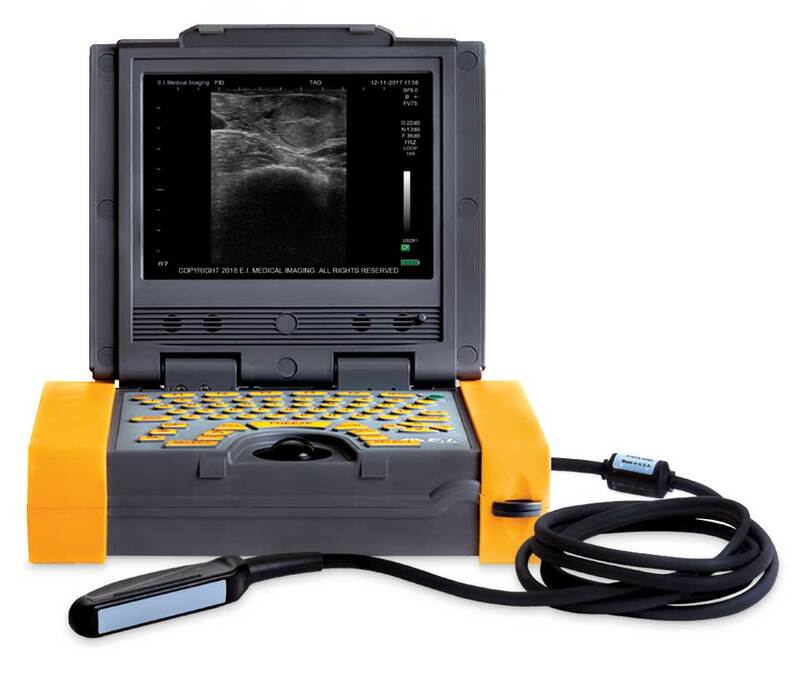 Designed specifically for bovine and equine reproduction, the PRO/r incorporates new high resolution technology to provide clear, high definition scans seen only on higher end ultrasound units. Based on the Ibex® PRO platform, the PRO/r is a versatile ultra-portable system that can be worn on the body or set on a table. Now hardwired to the new high definition L7HD probe, water-resistant and dust-proof with our proprietary DuraScan® casing, the Ibex® PRO/r can handle any environment. With advanced features typically found on higher-end systems, the Ibex® PRO/r can go wherever you do.